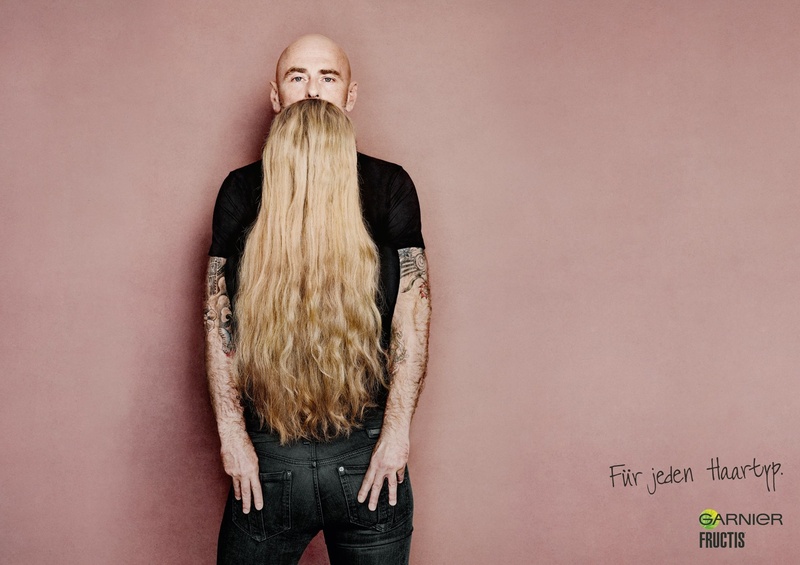 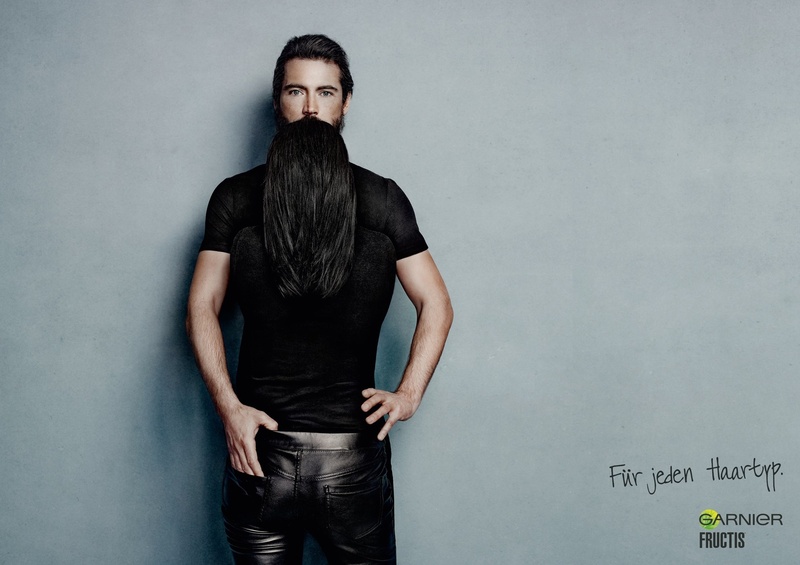 L’Oreal’s “Beard” print and poster campaign for Garnier Fructis shampoo has caught the imagination of viewers and won a collection of awards for Publicis Zurich, including Gold for Newspaper Advertising and Silver for Poster Advertising at the Art Directors Club Europe 2013 Awards this last week. “For any hair type”. 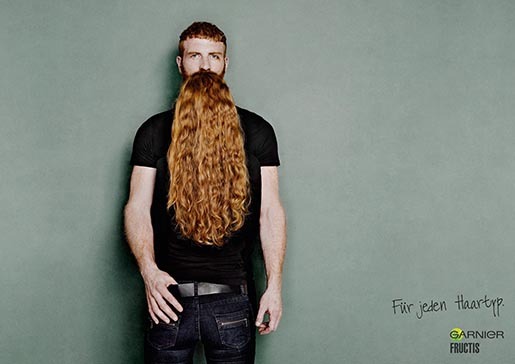 The Garnier Fructis Beard campaign was developed at Publicis Zurich by chief creative officer Thomas Wildberger, creative director Grischa Rubinick, art director Tom Müller, copywriter David Luebke, agency producer Derya Derdiyok, with photography by Billy & Hells.